Because every family matters to us! Ann Marie is a Christian Marriage and Family Therapist, LPC NCC, Pastor, Wife and best friend of 35 years to her high-school sweetheart Dave, Grandma (Mam) to 4 adorable grand babies, Mom to 2 beautiful daughters, and mom to the most amazing son. Ann adores her dogs Rexie & Timmy. She is currently trying to convince her hubby to let her get a pot belly pig. Her heart is to restore marriages. No marriage is too difficult or too broken that she would give up on them. She sees the most broken of broken, where only she would see beauty, opportunity and hope. 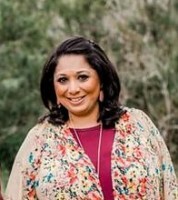 She founded Because the Family Matters in 2011 and has turned her ministry into a family private practice and organization for therapists to train, as well as to meet the needs of our community. She spends her free time collecting Weeble Wobbles from the 1970s, decorating and antiquing. Something interesting: At Christmas time she puts up 11 Christmas trees. 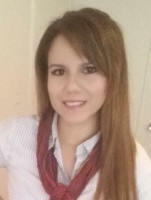 Beatriz is a Marriage and Family Therapy Intern, who provided mental health services to individuals, families, adolescents, and children in Guatemala, Central America for 10 years. She is in the Marriage and Family Therapy Masters program at Abilene Christian University. Her Bachelors is in Clinical Psychology. Her vision is to provide help to individuals and families, to meet their needs and achieve their goals. She is blessed with a beautiful family. She and her husband celebrate a 13 year marriage, and are happily raising their two boys. They have a chihuahua named Chipi. She will be joining our practice as an LMFTA in 2019. Beatriz is family at BTFM. She often handles crisis situations as they arise and has helped many of her clients reach their goals mostly because she is truly a servant of the Lord. We are so blessed and honored to have her at BTFM. 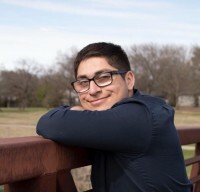 Stephen Dunne Garcia is a Clinical Mental Health Counseling Intern, who served as a Mental Health Specialist in the Army by providing services to military members and families since 2001. Stephen continues to serve in the military today as a Special Forces Medical Sergeant, and will retire in three years. He is in the Clinical Mental Health Counseling Master’s Degree program at Lamar University working towards Licensing as a Licensed Professional Counselor (LPC). He enjoys weekends with his children and taking part in outdoor activities and practicing guitar. Jon co-owns BTFM and leads our Pastoral Care. He often leads Friday staff meetings, trains the team on leadership, guides the direction of the family business meetings, and prays for the ministry team. Jon is currently attending Bethany Divinity College and Seminary where he is attaining his Bachelor of Arts in Pastoral Ministry. Jon started BTFM with his mom and his sister Michelle. Michelle went off to Law School at St. Mary's and Jon stayed behind to run and manage BTFM. Jon serves in Youth Ministry at our church. Jon will be leading small groups for guys at BTFM, and we are excited to get these growing once again. He will be doing some traveling this year. We are excited to watch him grow into the Pastor God has called him to become. Jeremiah 3:15 Then I will give you shepherds after my own heart, who will lead you with knowledge and understanding. He would like to be a Youth Pastor.